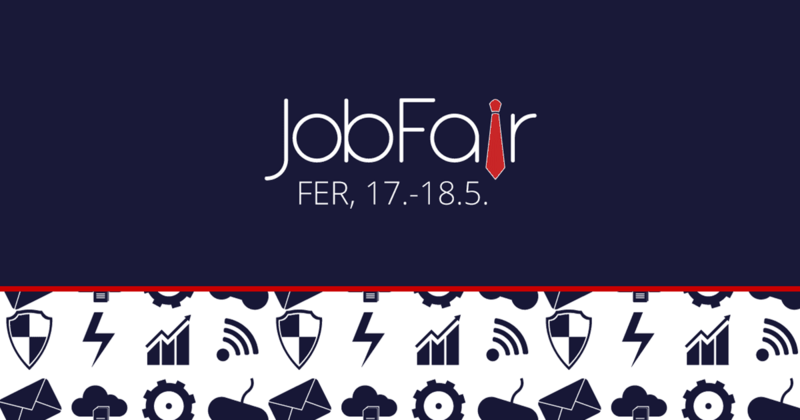 It is a fair which gathers together prospective students and companies in the field of electronics, information technology and computing. This year it will be held on the 17th and 18th of May 2017; we are going to present our company and its values to the students. We work with companies from different parts of the world on challenging and dynamic projects in a working environment which is innovative and creative; no two days are ever the same! We will try to bring this atmosphere to our stand and directly engagement with students, answering their questions and giving them insight into the corporate world of development. Hopefully presenting real world experiences will result in motivating young and bright people to study even harder and start thinking about their interests for internships and future jobs. Also, we are happy to say that http://www.zdravljak-srsek.hr/ is our food stand sponsor. Visit our stand for a pleasant and informative chat with our employees and try one of Sršek’s tasty “kiflica” which is our favorite snack with morning coffee at our office, located in the Zavrtnica Business Centre.